There is no doubt that solar energy systems offer a multitude of benefits. Beyond being good for the environment and providing savings on utility bills, solar panels also increase a home’s value. In the past, there hasn’t been sufficient research to enable appraisers and real estate professionals to confidently value homes with solar panels. However, in recent years, new studies have offered data that proves homebuyers are willing to pay more for a home with a solar energy system across a variety of states, markets, and home types. According to a study from Berkeley Lab that spanned eight states, including Florida, a solar energy system can increase the value of your home by a 3.5 percent increase. The study suggests that the increased value for your home depends on the watts the system produces. 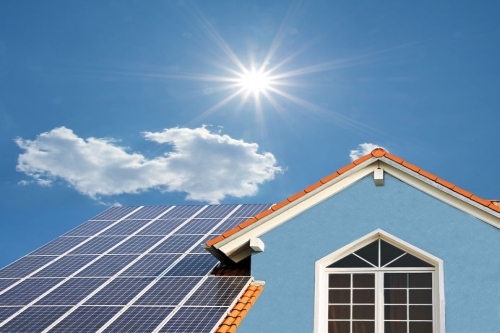 The more watts your solar energy system makes, the more it will increase your home’s value. Therefore, a larger investment in a solar system will pay out more when it comes time to sell your home. In the study, homeowners owned rather than leased their rooftop solar systems. The homes were less than $900,000, and researchers used methods to account for neighborhoods, models, and market characteristics. Berkeley Lab’s research shows that a solar energy system would be a wise investment for your home – for monthly energy cost savings as well as for the increase in the value of your home. If you’re ready to purchase a solar energy system for your home or you just want to learn more about the benefits of a solar energy system, contact us, and we’ll be happy to help get the process started. A1A Solar began in 2010, and today, it’s the No. 1 solar installer in Florida. The company is a certified NABCEP solar installer and a licensed state electrical contractor. A1A Solar earned the Veteran-Owned Business of the Year award in 2016 and is one of the Best Places to Work in Jacksonville.